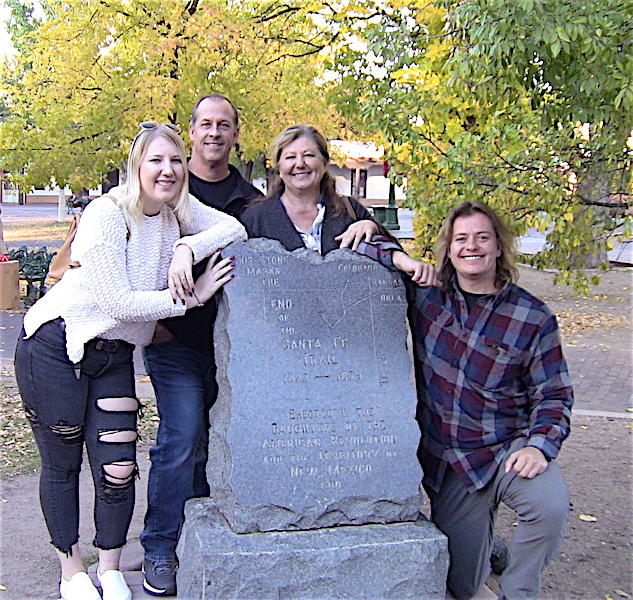 GHOST PHENOMENA -- sometimes odd things happen on Allan Pacheco's Ghost Tour Santa Fe... 505-986-5002 Join Al and see if something is seen or detected --- your tour goes to where -- thaaaangs have happened! 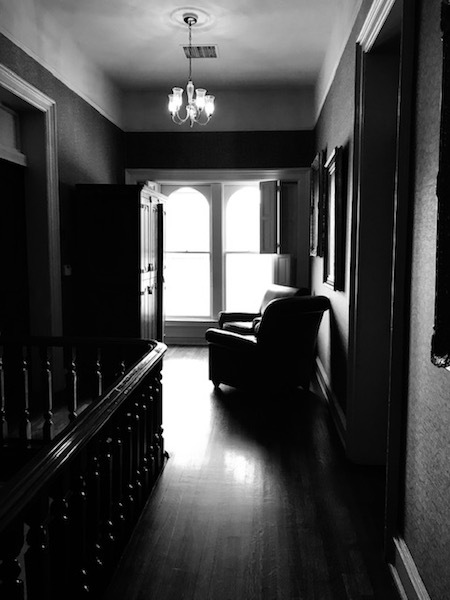 Below: This hallway area at La Posada has been reported to be haunted, through the centuries people have seen things (ghost or ghosts), they have been pushed or have just been creeped out. During the Christmas holidays, maids from SOUTH OF THE BORDER that work at La Posada leave chocolate candies for the energy that appears or lives in this area. 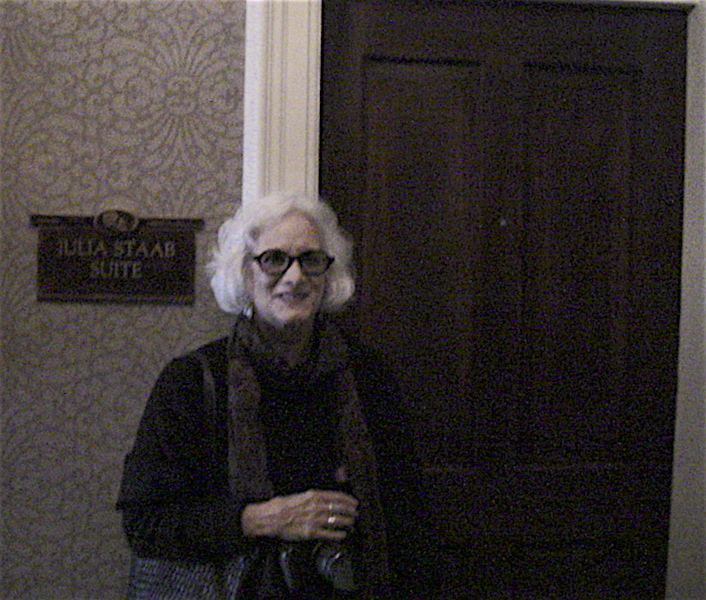 To the right of this picture is where Julia Staab, the mistress of the old Staab mansion was imprisoned. The skeptics claim Julia died or suicided while being kept behind the doors, her elegant cell. The above picture-- to the right of the snapshot is a large den, bathroom and huge bedroom, this wing of the mansion was where Julia was jailed by her husband the ROBBER BARON -- ABRAHAM STAAB. Today the Staab Mansion is the La Posada Resort. Note the vibe from the picture, it conveys stale energy, as in a bitter location. At times this hallway has witnessed al kinds of sightings, ghostometer have gone wild on occasions near the end of the passageway. 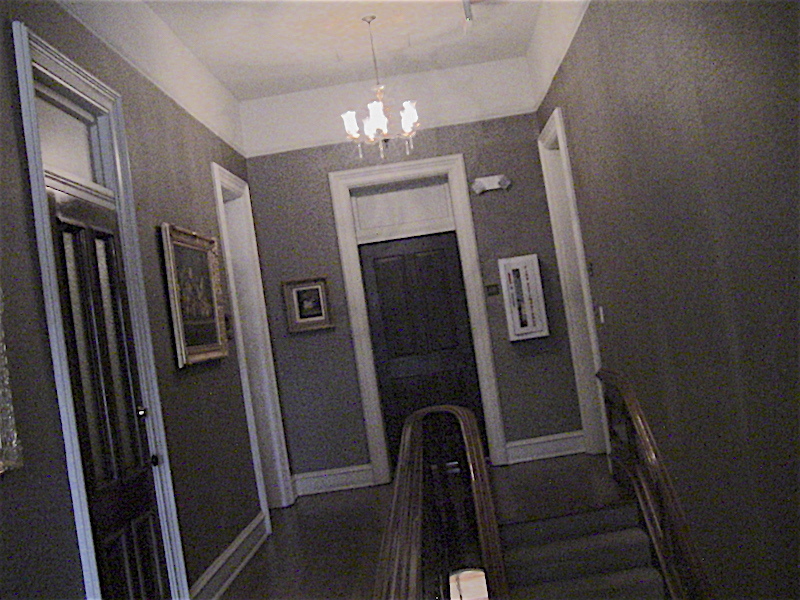 BELOW: Tthe entrance to what is called today the STAAB SUITE, this wing of the resort is where Julia was held captive. Later on she met her fate in the rooms beyond the doorway. 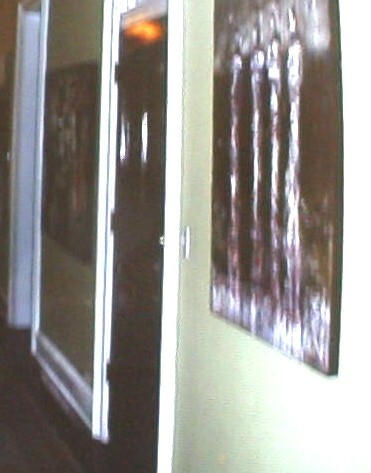 Below: Opposite side of the hall from the window, Michale with camera off balance or was he pushed? BELOW: The view of the area ABOVE --- on another tour --- Yes this 2nd story at times is filled with energy that acts out, be it sightings, camera malfunctions, and pushes. 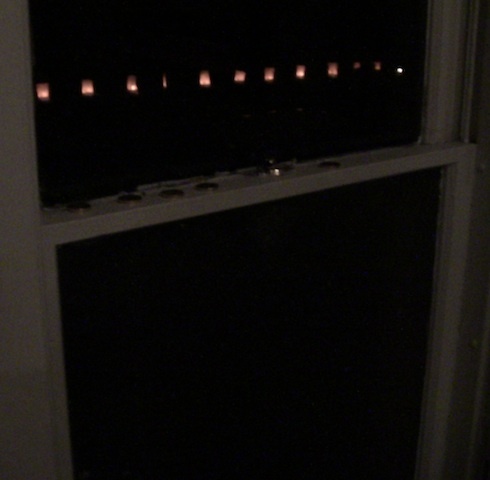 Below; Candy left for the spirit or spirits that roam the hallway, (CHRISTMAS TIME). Above: James at the window area where activity is sometimes witnessed -- the windowsill where candies are left. Below: Another tour -- another year (WINTER vs. SUMMER) -- Allan at the haunted window location. 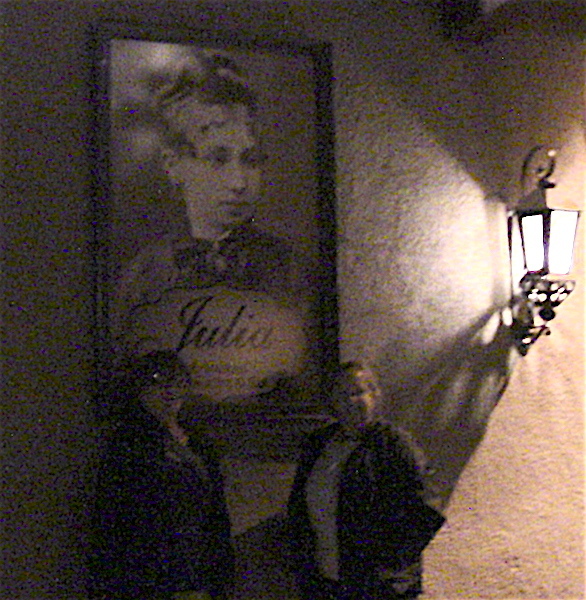 Below: The sign at La Posada -- the restaurant is named after the ghost or one of them, Julia Staab. Through the years odd thing have happened to Allan in this area. 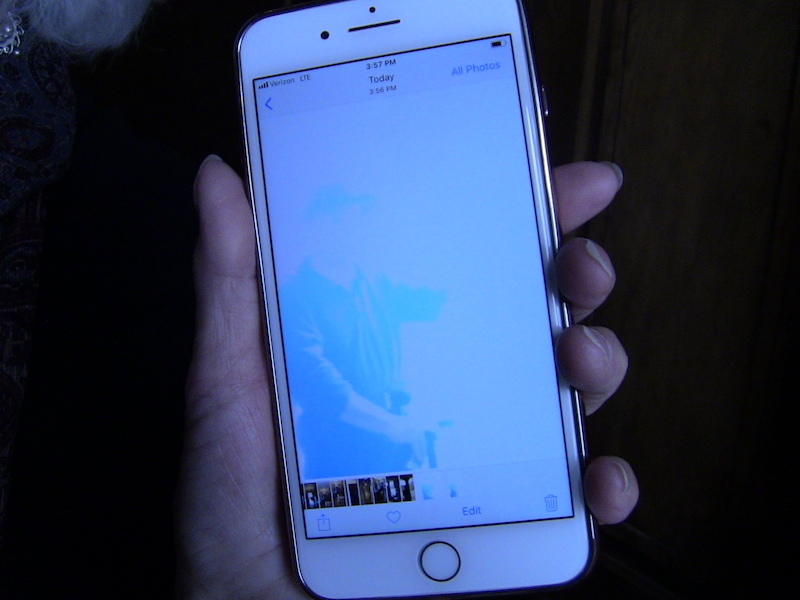 For example, when people have taken a snapshot of him in this location the photo does not come out as it should. Skeptics say it the odd photos are due to aperture failure or bad photographer. 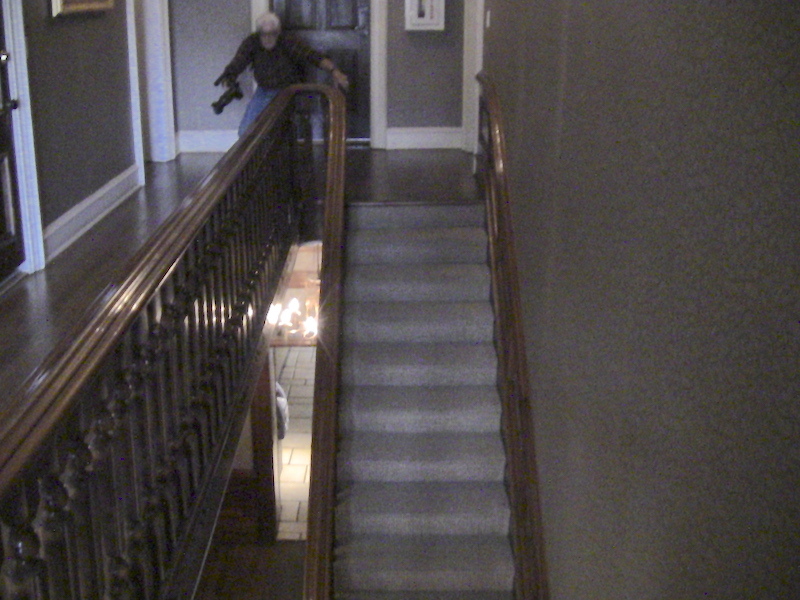 Ghost hunters claim an energy goes around AL at this spot. 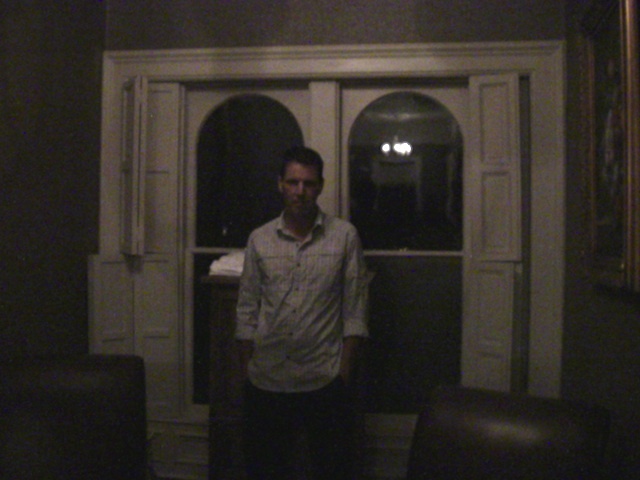 Above right a photo from ages ago, of AL near the haunted window. Below: A photo taken in 2018 by way of a state of the art IPHONE. 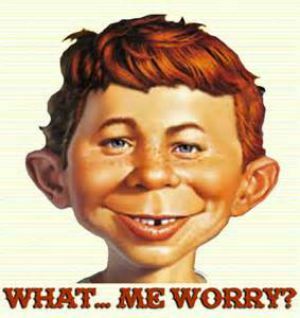 The shooter attested that the malfunction had never happened before and she could not figure out why all the other photo were fine except Allan's? 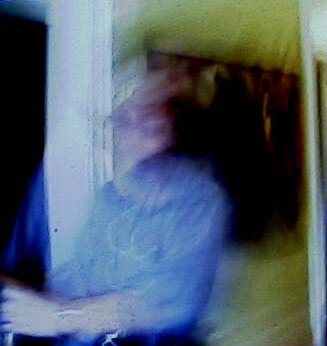 The photo is curious, Allan is fading out and when the snapshot was lightened he looked like a cousin to the KYBEN from "THE OUTER LIMITS" 1964 episode "DEMON WITH A GLASS HAND". 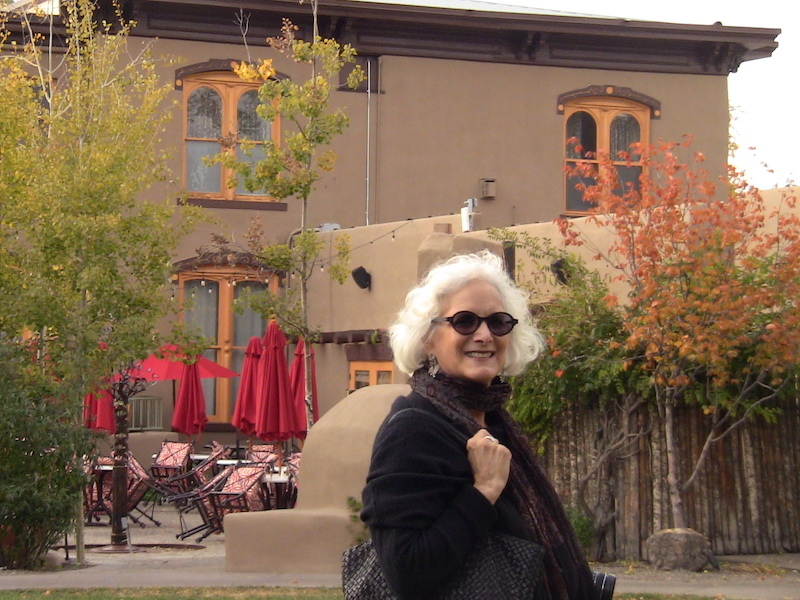 It is speculated that energy, be it a ghost (JULIA STAAB) or ghosts; at times or who knows how many times spins around Allan or is by him at certain places inside LA POSADA. Specifically the 2nd floor hallway. SO what is one to make of the below photo from the IPHONE? 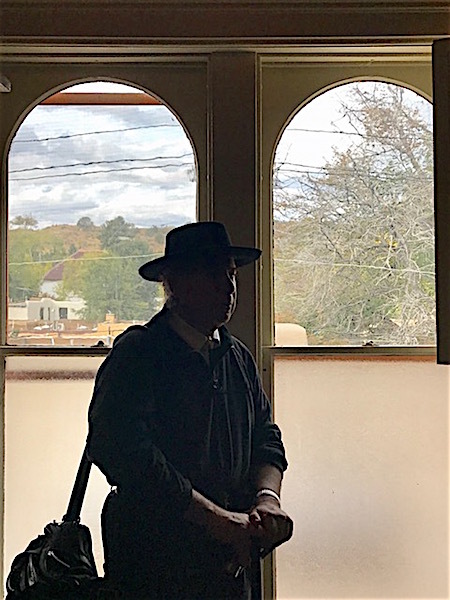 Above and below: The photo was taken on OCTOBER 22, 2018; is there any link to the odd energy and the date or the time -- as in --- something happened there at La Posada ages ago? Above: Lena was dumbfounded by the photo, then the gadget would not work, finally it began to function. 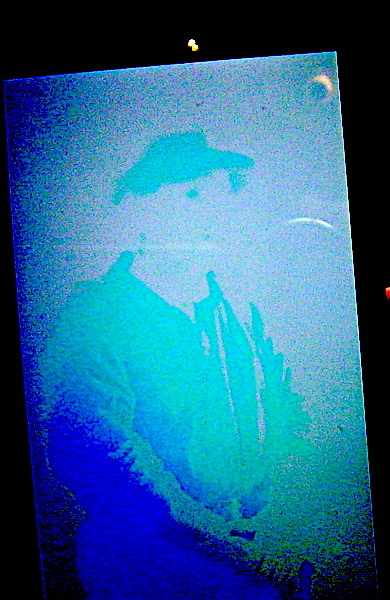 Below: A blowup version of the strange photo that was taken of tour guide and author, Al Pacheco at haunted La Posada. Below: Photo from years before 2018 -- note the flash of light from top of the middle door. What is it? Swamp Gas at La Posada? HARDLY!!!! The Devil Light or orb is a reflection on the door according to the skeptics! That explanation Allan doubts, because this area of La Posada is definitely haunted. AL has no idea what this burst of color is, the photo was taken on one of ALLAN PACHECO's tours. The area behind the wall and door is where JULIA SHUSTER STAAB came to her end under very sinister circumstances. In the past, Julia's ghost has been seen in human outline or in white cloud guise. BELWO: From the inner courtyard looking up at the wing of the old mansion where Julia was imprisoned. The far right part of the building, 2nd floor, is where Julia's large bedroom was located. The center section was the bathroom and the left part of the building, where the middle green tree is located is where Julia's den was situated. In the past the ghost of Julia or a ghost of whom has been seen peeking out from the window that is behind the green tree. This rare occurrence has happened at night and during the day. BELOW: The ghost of Julia claim the shadow chasers. The photos below (SAME PHOTO)-- are at regular light and SEPIA TONE -- the snapshot was taken on October 22, 2018. This FAR RIGHT window is where Julia's old bedroom was located, and according to legend, lore, and some facts, in that far right room is where JULIA was done in. 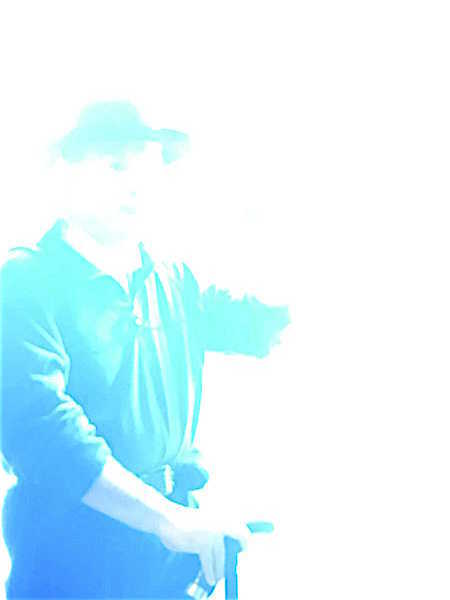 The skeptics will say what was captured on film (Below) was light reflection, people's imagination made for a ghost photo. It is a odd snapshot, this photo was blown up from another photo taken from the courtyard. 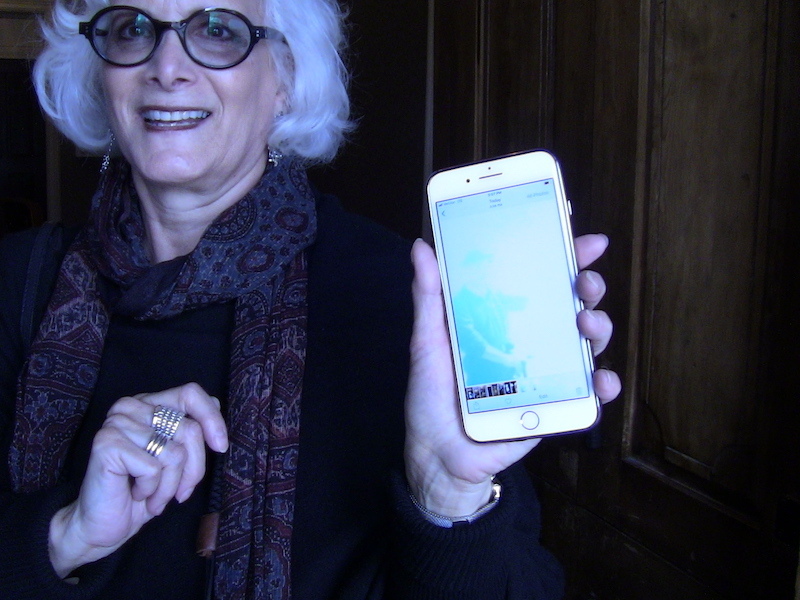 AGAIN-- The above photo of Lena on tour -- gives the viewer the location of where the photo was taken, far right window, around 4:30PM October 22, 2018. Previous to the below photo, Allan and his tour of investigators had run into some activity in the hallway outside of the right window. 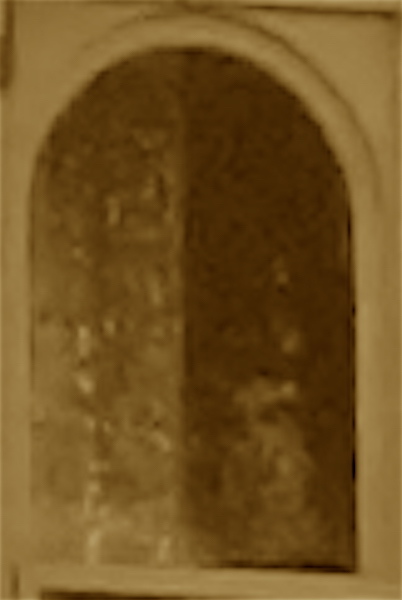 The Sepia photo was done to bring out the highlight of what was shot, is it pure shadow or a ghost, and if it is a ghost -- is it of Julia or? Day or night --- BELOW --- you have a fun time on your tour --- at the end of the tour at the SANTA FE TRAIL MONUMENT --- this family had a great time... 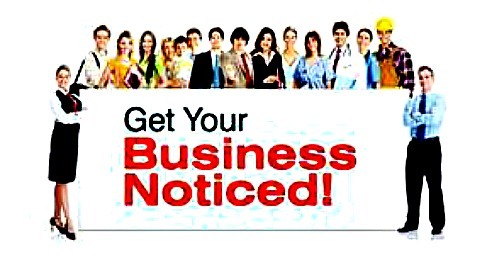 Schedule a tour 505-986-5002 or 505-231-1336.